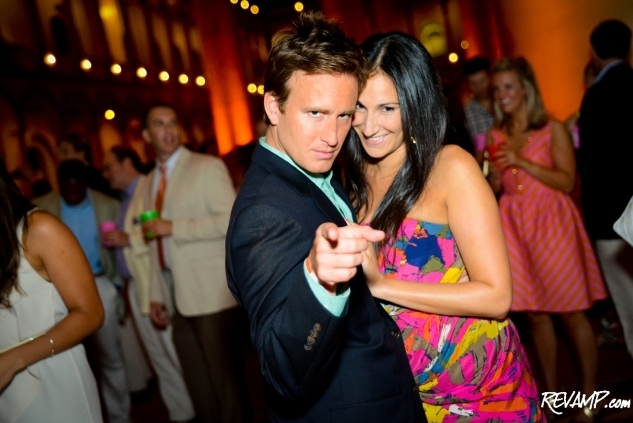 Be sure to check out all 242 of our photographs from this event HERE! PENN QUARTER -- Borrowing a note from the timelessness of Frank Sinatra�s legendary career, the Washington-based social organization known as The Capital Club showed no signs of slowing down itself on Thursday evening, as the nonprofit hosted its signature annual Sinatra Soiree fundraising gala at the National Building Museum. 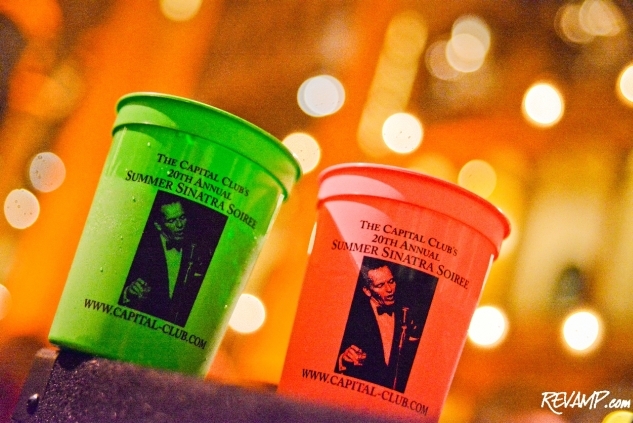 A now iconic summertime destination event in the District � one that Washingtonian Magazine labeled one of the �Best Parties of 2011� � Sinatra Soiree began with humble aspirations twenty years ago. 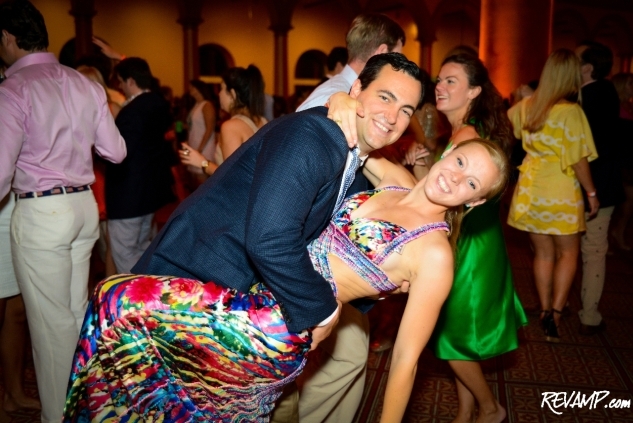 Since that time, the festive event has rotated throughout various venues across the city as it continued to grow until it finally settled at the National Building Museum, which it has steadfastly called home for the past few years. 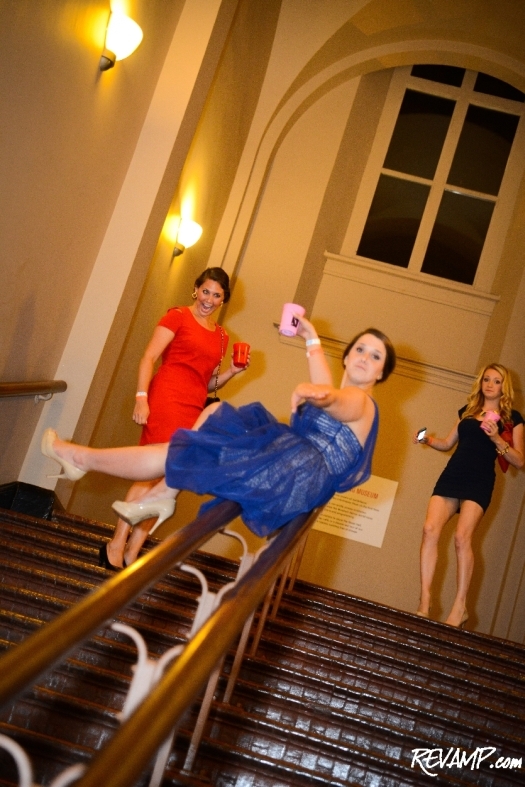 With space no longer an issue, Sinatra Soiree has finally been able to hit its stride. Critical plaudits aside, the event consistently attracts a young and beautiful crowd of D.C. residents thanks to its irresistible mix of good music, nostalgia, and playful pageantry. 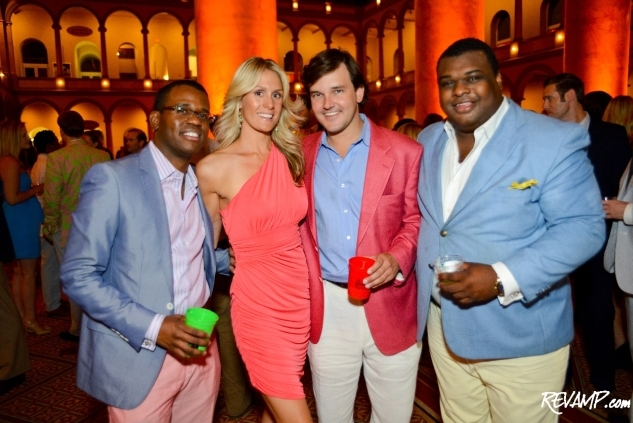 Indeed, like many Capital Club events, personal style is at the forefront of the reasons behind the success of Sinatra Soiree, with ticketholders happily getting into the spirit of the night by donning thematic outfits. 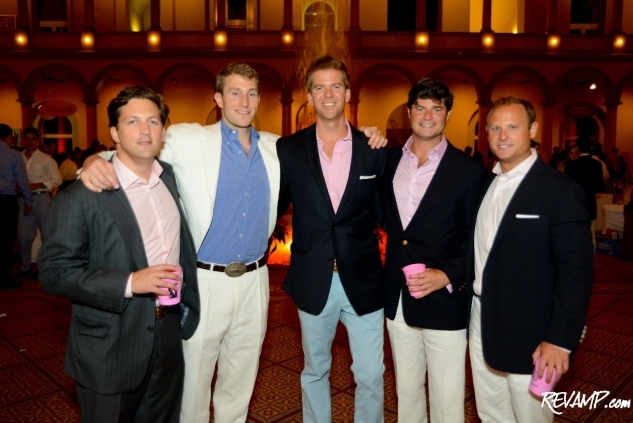 For 2012, the suggested attire for men was a cryptic �summer ahoy�, while the ladies were given a perhaps easier (although no less stunning) �strong cocktail� recommendation. 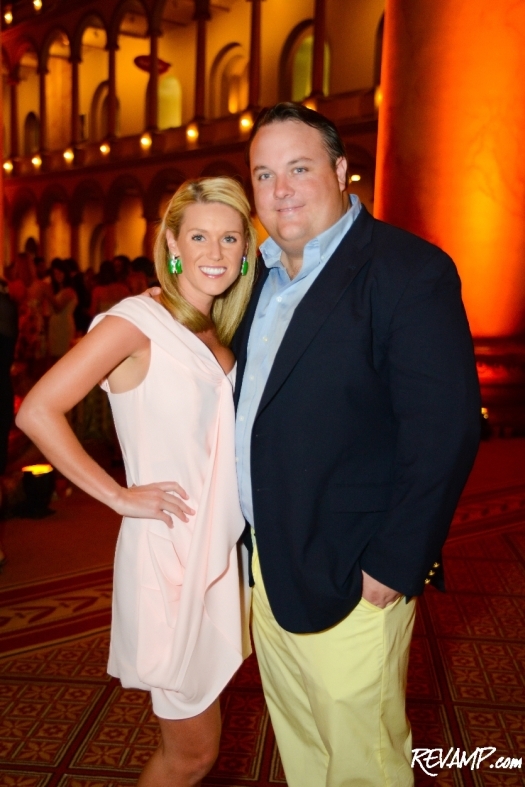 Capitalizing on such a fashion friendly crowd, REVAMP.com even decided to conduct a �Best Dressed� contest this year (results to be announced next week), with several club members serving as judges. 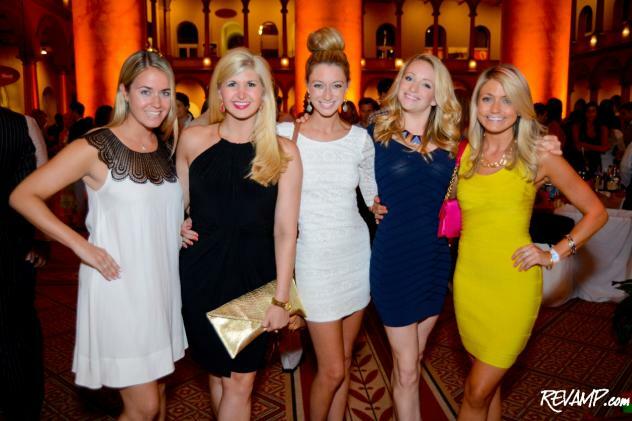 If eye candy serves as Sinatra Soiree�s appetizer, then the music is clearly the main course. And the action on the dance floor progressively became more and more energetic yesterday, as the evening flew by. Top 40 favorites were supplanted by a series of live big band performances and audience requests were readily accommodated. Ol� Blue Eyes himself could hardly have hosted a better time!